Leaders get people moving. They energize and they mobilize. They take people and organizations to places they have never been before. The leadership challenge never goes away, and especially in uncertain and turbulent times, real leaders step up and take charge. 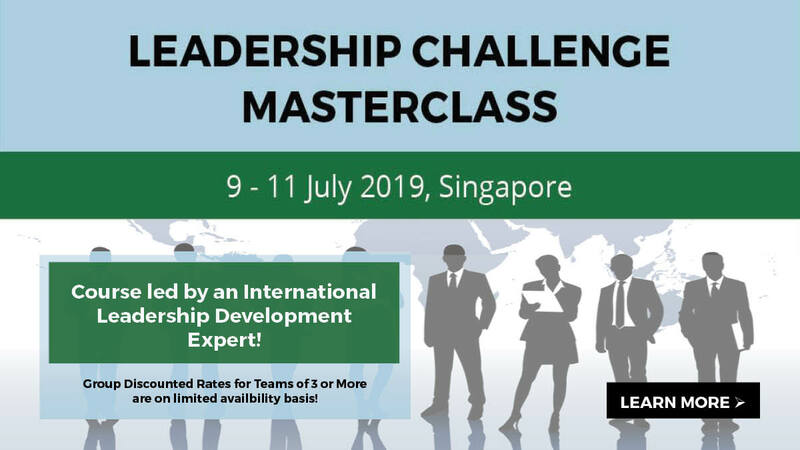 This 3-day masterclass will focus the teachings around the 5 leadership frameworks of James M Kouzes which defines exemplary leadership, with the objective of helping attendees to become more effective leaders. By applying the concepts of M.I.C.E.E which represents the five practices of exemplary leaders [Model the Way, Inspire a Shared Vision, Challenge the Process, Enable Others to Act and Encourage the Heart], attendees will learn the skills to be the leader that employees will look up to. Through case studies, role plays, practical exercises and real industry practices, attendees will be exposed to learning experiences and best practice techniques and strategies on how they can become effective leaders whilst inspiring great performances from the people they manage and lead! For more information, visit our event website or email us at enquiry@equip-global.com!